GRAS Reynés Architects finalist in the World Architecture Festival 2017. The WAF is held every year to share and inspire exceptional architecture. It is a unique event where architects present their finished and future projects live to a panel of internationally renowned judges. 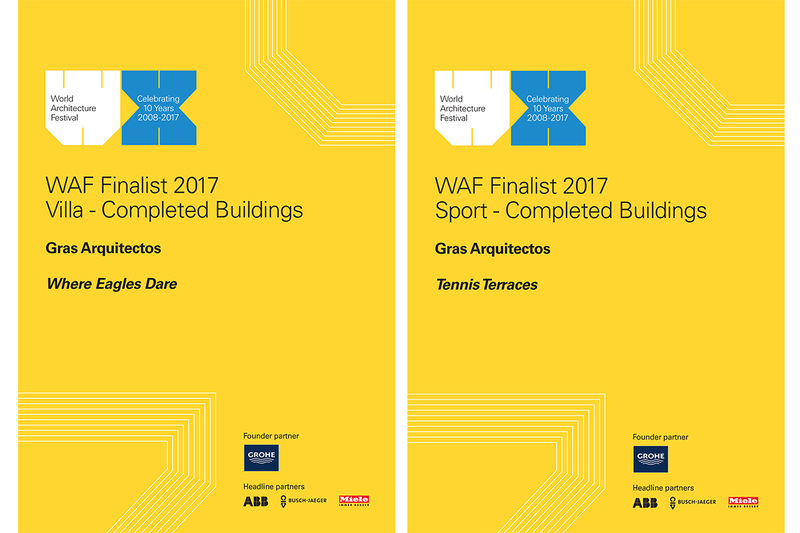 This year, not only one, but TWO completed projects by GRAS Reynés Architects have been finalists: WHERE EAGLES DARE, in the Built Buildings category: Villas, and TENNIS TERRACES, in the Built Buildings: Sports category. Both projects, among others, represent a milestone in the history of GRAS, both with their challenges and difficulties, and we are very proud that among so many splendid projects, ours have received this recognition.